Jess presents at conferences and universities on the subject of traditional oral storytelling in a mental health/psychiatric setting. 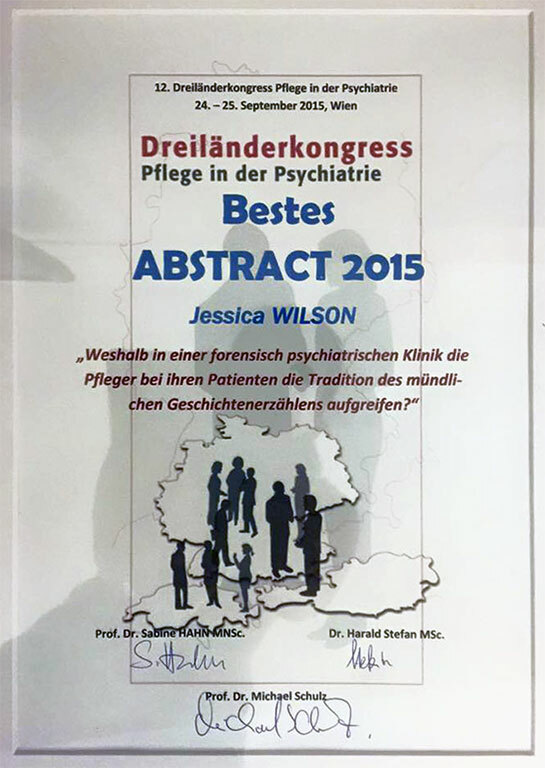 Jess presented the findings of the research study at the Royal College of Nursing congress for mental health nurses in Manchester in September 2015. She also took the findings to a conference in Vienna for psychiatric nurses from the three German-speaking countries, Germany, Austria and Switzerland. She presented in German and won first prize for best presentation. 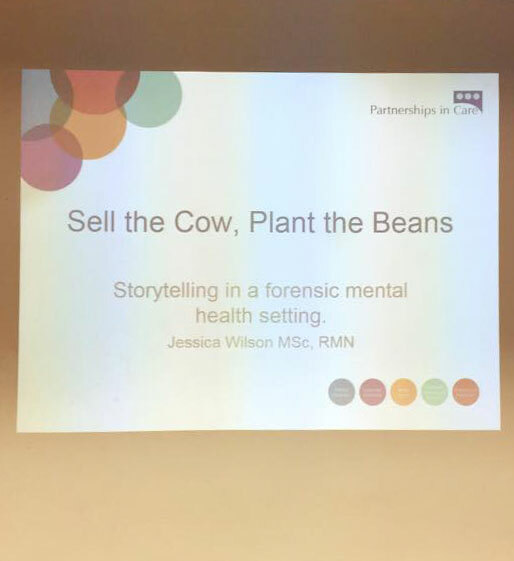 Jess has talked on the subject of traditional oral storytelling in a forensic hospital setting at the Koestler Award in London in 2015 and in 2016 she told a story in “speakers corner” at the exhibition. In October 2016 Jess was invited to speak to 3rd year student mental health nurses at Napier University. One of the students will be doing his final year project on the subject of traditional oral storytelling in a forensic psychiatric ward. …….I see this art every time I walk into an environment where a nurse is busy ‘creating’ the day for an other person. They are busy using the light, space, sound, words, movement and touch to deliver the message of care. And like true artists they are willing, indeed they see is as essential, to share their performance with others.